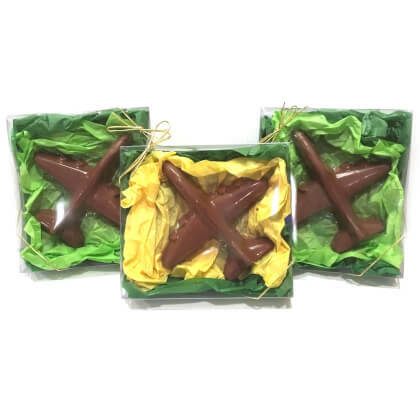 Earn your wings with this delicious solid milk chocolate airplane. 6 inches long. Net weight is 5.5 oz. Tissue colors will vary depending on availability.